Zion National Park is one of my top national parks to visit and spend time exploring. 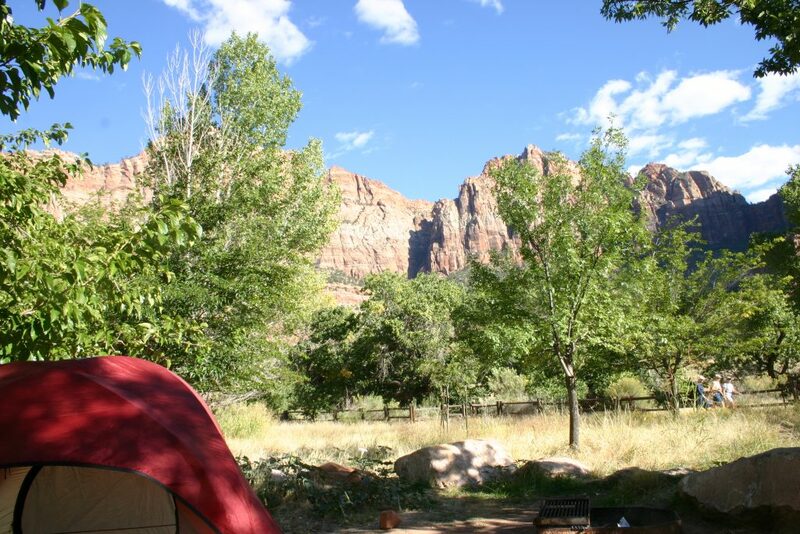 Zion National Park Camping is by far the easiest and best way to explore Zion National Park. 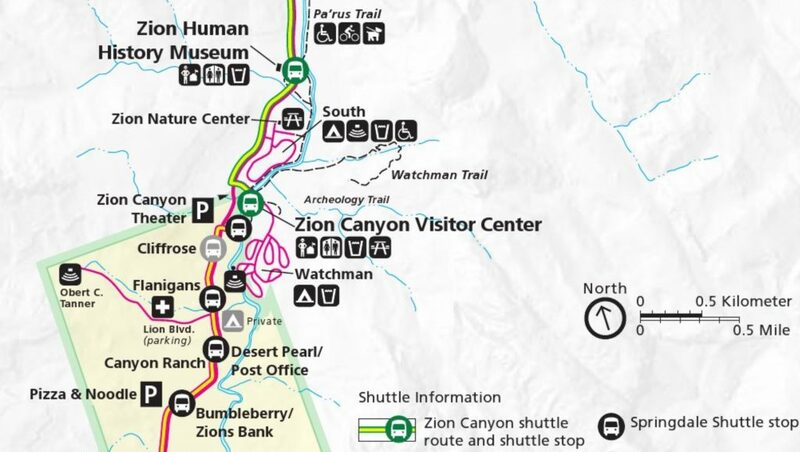 The Watchman and South Campgrounds are centrally located next to the visitor center and shuttle bus stops for the Zion Canyon and for the town of Springdale making the perfect place to set camp and explore. You may ask if this is important? YES! Zion has seen unprecedented growth in visitation and I don’t see its popularity going away. Zion saw over 4 million visitors in 2016, in fact, their attendance just keeps climbing year after year. This has created issues with parking and many of the park visitors have to park in the town of Springdale and take the shuttle up to the park walk-in entrance where there can be a 1+hour wait just to get into the park. 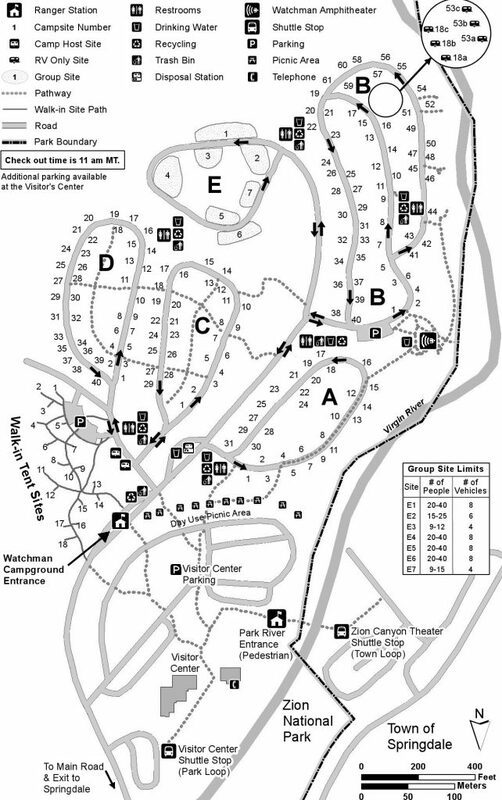 You will then need to walk to the visitor center and catch another shuttle before reaching where you want to go and hike. This means that you can spend a lot of unnecessary time just getting in and out of the park. Zion Camping means that you already have a campsite and can drive into the park and park your vehicle in your campsite. 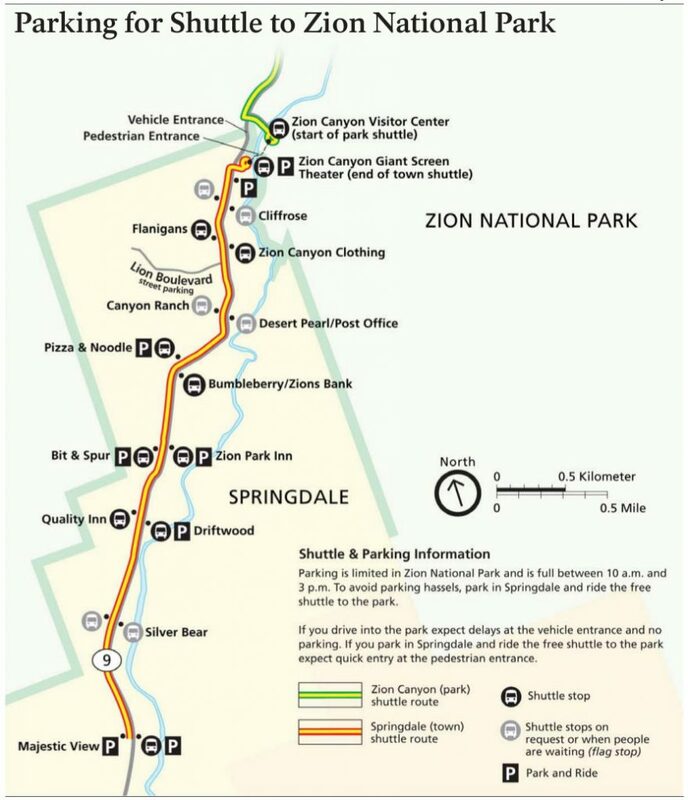 Now you simply take the shuttle into the Zion Canyon and the town of Springdale with no more worries. I personally like to get an early start to go hiking, especially when going on a big hike. Some of Zion’s hikes take you straight up the cliffs and some gain over 2000′. You can choose for yourself if you want to get up early or fight the crowds and hike up 2000′ when its 95 degrees! Early morning hikes often reward you with wildlife sightings and solitude in an otherwise busy park. How do you take an early morning hike? You camp and take one of the first shuttles into the canyon. I have told you all the pros for camping here but I do want to give everyone a heads up that in April-May could bring an unusual infestation of Tent Caterpillars. They will fall from the trees onto your tent, table, camper, car and even you and could make it uncomfortable for someone to sit outside. July and August could also bring ants. Remember that you are not allowed to use any kind of insecticide in your campsite. Be careful of the irrigation ditches in the campground as they could pose a tripping hazard. Watchman Campground, Zion National Park has most of the amenities that one would expect in a front country campground. Several of the sites have shade from trees and is mostly sandy with native grasses. I have had cell service in the campground area but that becomes scarce when you head into the Zion Canyon. 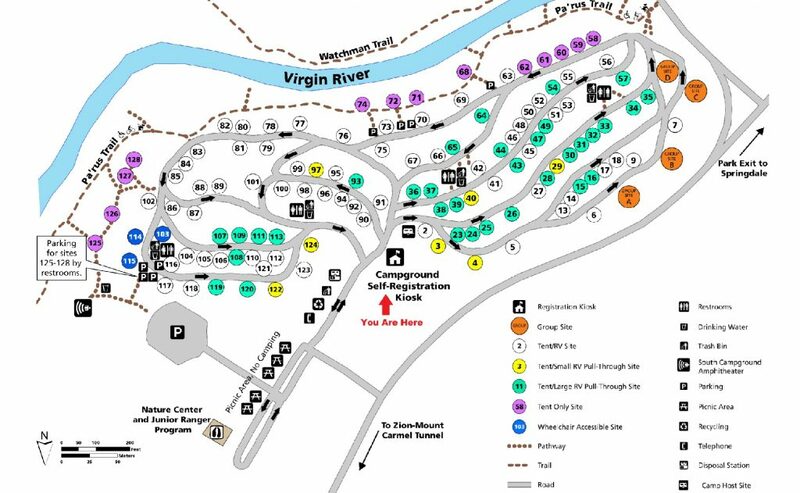 You can make Reservations for the Watchman Campground online and by phone at (877)444-6777. Reservations can be made up to 6 months in advance. There is no WIFI in the campground but is available in the visitor center. There is no firewood for purchase in the park. Firewood is available just outside the park at the Happy Camper Market. There are 176 campsites, 95 sites with electricity, 2 are ADA Accessible and 6 group sites. Generators are not allowed in the Watchman Campground. There is an entrance fee to drive into the park on top of the camping fee. Maximum site length is 50′ although the average is more like 35′, electric sites have 30amp service. There is very few pull through sites and I would not count on one. A trailer dump is available. The Maximum stay is 14 days March-November, 30 Nights for the rest of the year. There is drinking water, flush toilets available but no showers. There are showers nearby in the town of Springdale. Pets are allowed but have to be on a leash no longer than 6′ in length. There is a maximum of 6 people, 3 tents and 2 vehicles per campsite. South Campground, Zion National Park has many amenities that one would expect in a front country campground. Several of the sites have shade from trees and is mostly sandy with native grasses. 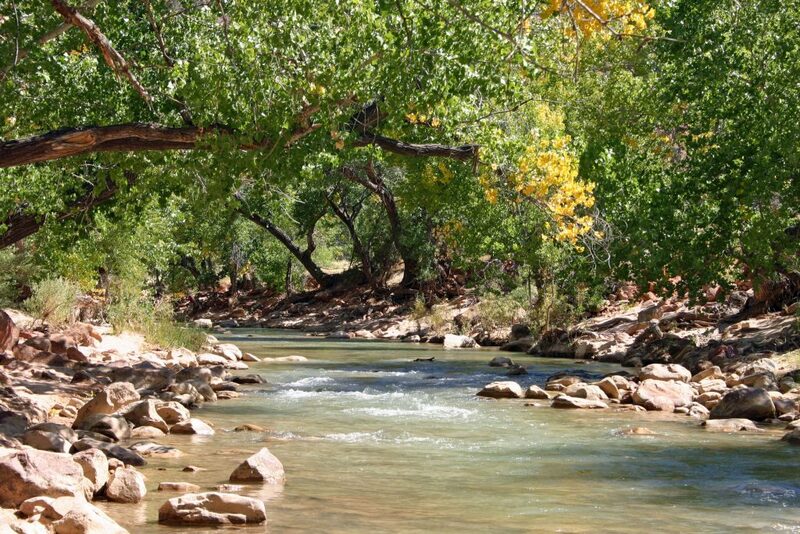 I have had cell service in the campground area but that becomes scarce when you head into the Zion Canyon. There are 127 campsites, 3 are ADA Accessible and 4 group sites. Approximately 255 are pull-thru and a 30′ maximum length. There is a trailer dump available. The Maximum stay is 14 days. Pets are allowed but have to be on a leash no longer than 6′ in length and can only be in certain areas of the park. One of the cool things about staying in the South campground with pets is that you can access the Pa’Rus Trail right next to the campground with your pet. The Lava Point Campground, Zion National Park is a primitive campground off the beaten path and perfect for those who want to find solitude. Road conditions on Kolob Terrace Road can change rapidly. Turn North in the town of Virgin and travel 25 miles, 45 minutes to get to the campground. 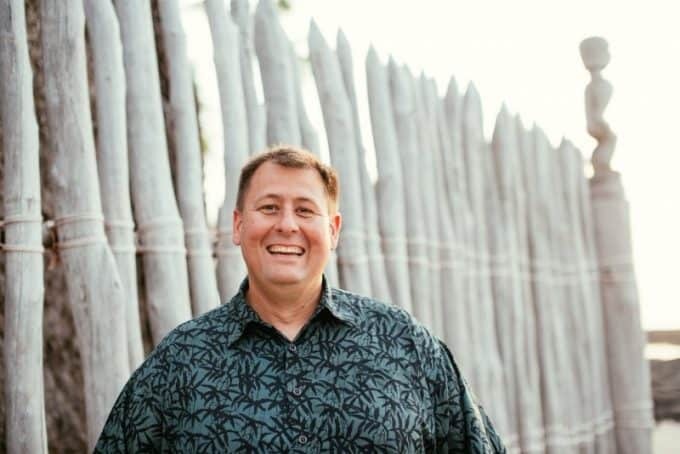 There is no camping fee at Lava Point Campground! There is no drinking water, vault toilets, no showers. Check out these other great Utah National Parks!